Civil Litigation and trial practice with emphasis on Corporate Law, Insurance Law, Product Liability, Legal Malpractice and Negligence Matters. Ed Stopher became a partner with Boehl Stopher & Graves, LLP in 1970 and subsequently a member of Boehl Stopher & Graves, LLP until 12/31/2014. Mr. Stopher is currently an associate with Boehl Stopher & Graves, LLP. He is the former Chair of the Civil Litigation Section. 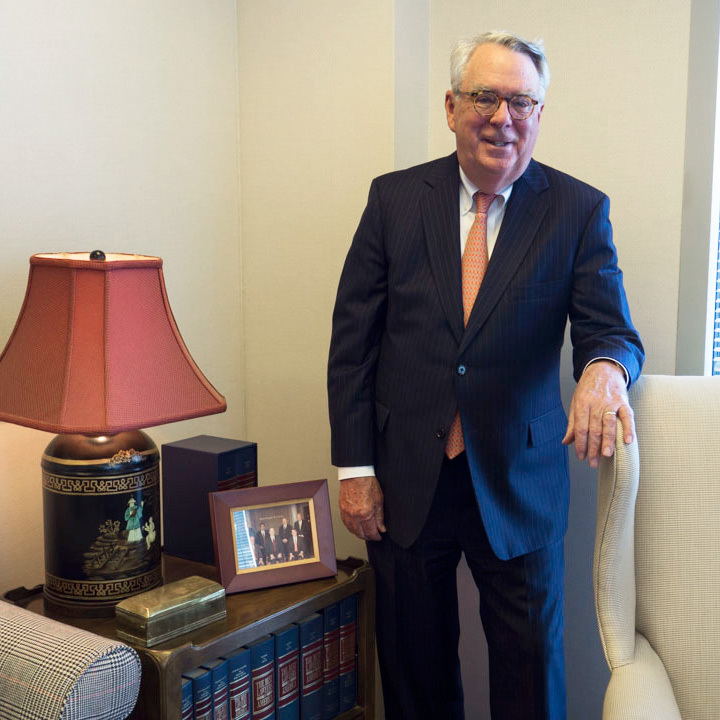 Mr. Stopher has represented corporate and insurance clients in all federal courts in Kentucky, before the Court of Appeals in Kentucky and the Kentucky Supreme Court, and in most state trial courts throughout Kentucky. He has tried more than 100 civil cases to a verdict and has successfully tried cases to verdicts in Florida, Georgia, and Virginia, as well as Kentucky. In addition to defending various railroads, airlines and aircraft operators, truckers and trucking firms, gas transmission line operators and various other product liability and negligence cases, Mr. Stopher and the firm have been and are very actively defending insurance carriers in bad faith claims. The overwhelming majority of Mr. Stopher’s trial experience is in the defense of corporations and insurance carriers. His trial court experience includes the defense of pharmaceutical-related claims, product liability matters, legal malpractice actions and various negligence matters.